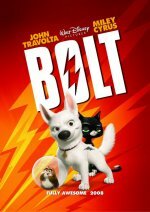 Bolt release date was Friday, November 21, 2008. This was a Nationwide in theaters release. A Disney Digital 3-D Release.